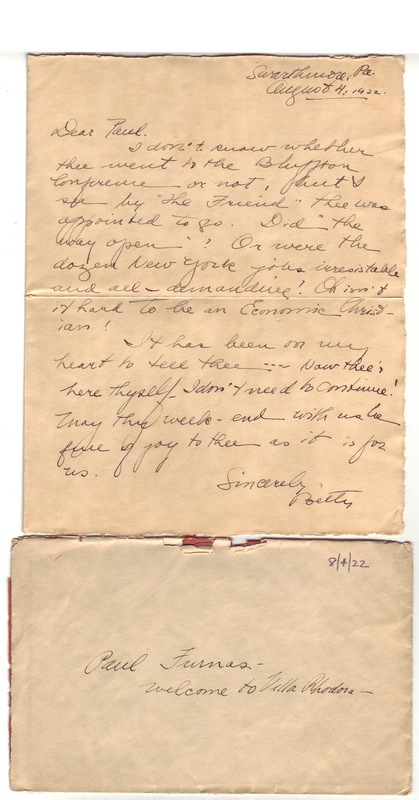 In a box found a decade ago in a highboy inherited by my mother, Caroline Sargent Furnas Trueblood, was a collection of letters written almost daily to each other by her parents, Paul and Betty Furnas, during the year they met, courted, and married. These letters tell an endearing, intimate story of their love, their Quaker beliefs, and their plans for marriage. They also reveal details about life during the “Coolidge Prosperity” years, 1922-1923, as well as the important work these young Friends and others were doing to revive the Religious Society of Friends and to unite Quakers in the United States. 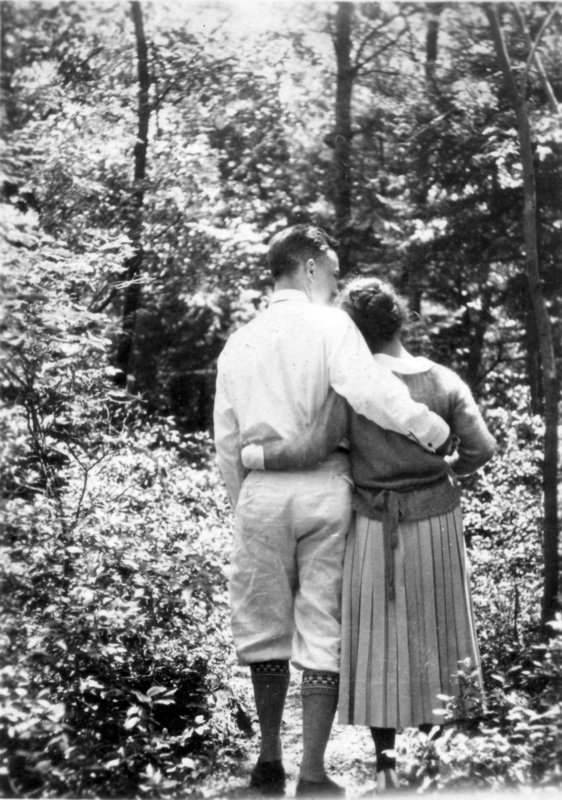 A Quaker Courtship is a love story and a tantalizing glimpse of the life, key leaders and organizations among Quakers in 1922. Both sets of parents were Quakers from different branches of Friends: the Furnases were Orthodox and the Walters were Hicksite. 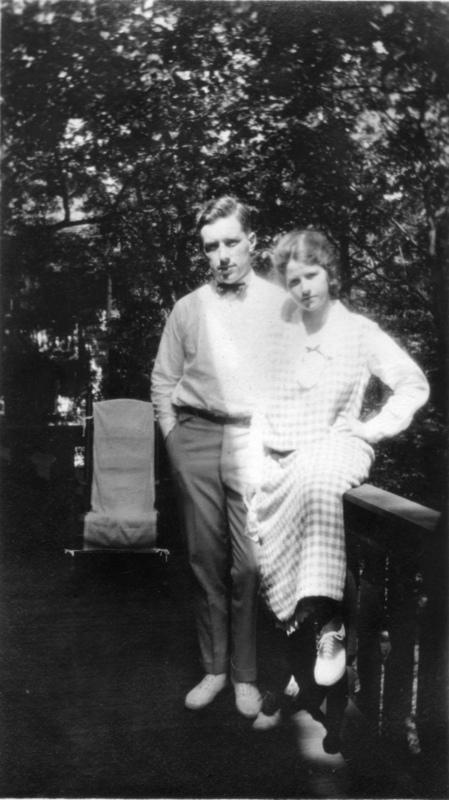 These branches eventually united in Philadelphia Yearly Meeting in the 1950s (and other yearly meetings united about the same time), but Paul and Betty had been leaders in the national Young Friends Movement decades before, and much was made in 1922 of their own union. 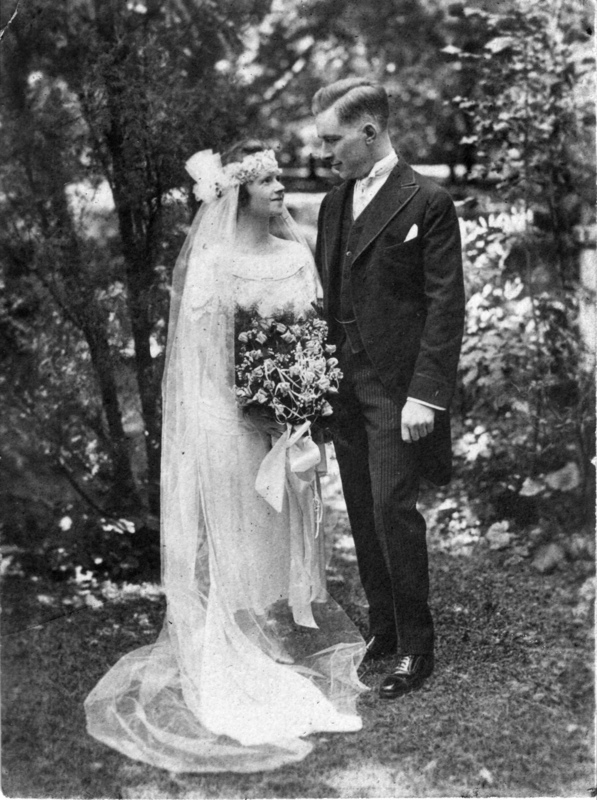 Paul and Betty were married at Swarthmore Friends Meeting in September, 1923 where our story opens. Now a book — A Quaker Courtship — is complete. 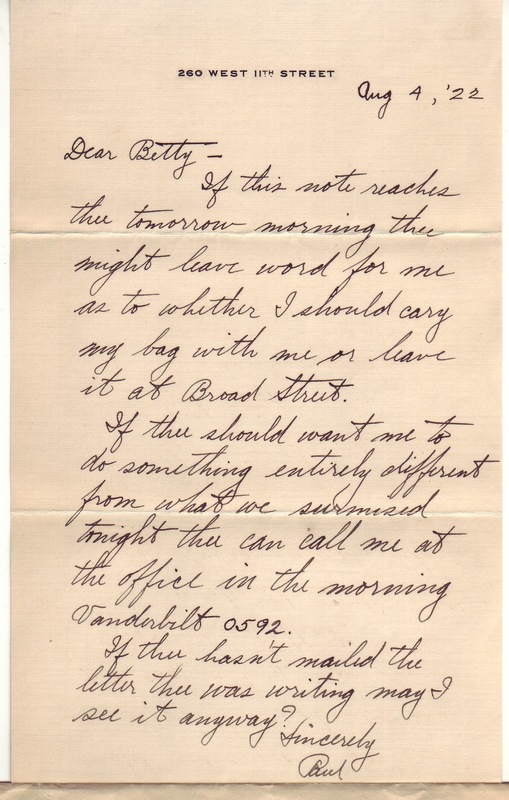 All of their letters and some text explaining contexts, family history, Quaker terminology and references they make are shaped into a Quaker love story set in the early 1920s. 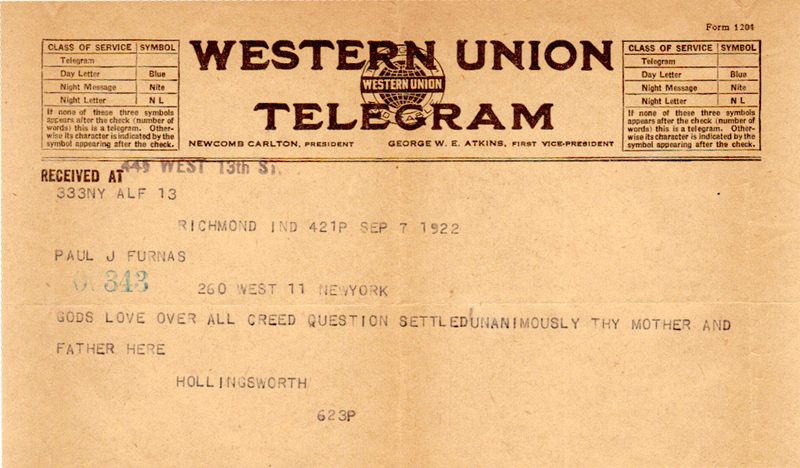 View more photos, letters, telegrams and other documents.